Do you have a credit card? how do you use it?at present, the credit card is very important in our lives, even so you must know how to use the card the right way because many have been bankrupt due to credit card debt. You can get this card through the credit card company and bank, you may apply for a credit card when passing the following conditions, your salary enough and in accordance with the conditions set by the bank and have permanent work. When you go shopping, you do not need to carry a lot of cash because you already have a credit card. Credit cards like cash, you can make purchases at any place that is providing services payment by credit card. Imagine you are driving and find your car oil meter shows the oil needs to be filled during your car to the gas station you do not have cash. The above can be overcome if you have a credit card, most petrol stations have service payment via credit card. When you have financial problems you can withdraw money through your credit card, even so, is not recommended cash withdrawal transactions. If you make payments online such as payment of water bills, fuel bills, order products, you can use credit card. 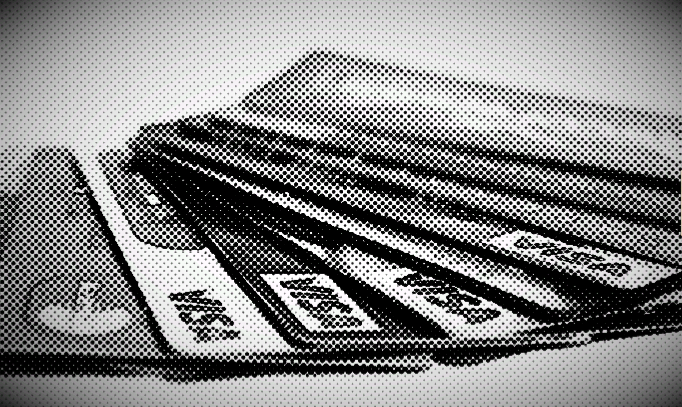 Despite the use of credit cards provide benefits to the community, it also has an adverse impact if not managed wisely. If you are late or do not perform the minimum payment on your credit card will be charged a late payment penalty and fines are expensive. Late payment penalties will be credited directly to your account. If the card is lost or the card number and pin security is known by a third party, the risk of losing money in the account is very high because the security system located in the back of the card. Safety pin is in the back of credit cards and very conspicuous if lost, the finder can make purchases at supermarkets, refuel the car and make purchases online. If you have many credit cards and failed to do monthly minimum payment possibilities you can go bankrupt because reimbursement rates to be charged for expensive. If you withdraw money, the rate charged is high. Use your cards with caution if lost contact immediately your credit card hotline for dealing cancellation. Create reports loss in a police station near where you live and bring the report to the bank to get a new card. Do not let anyone see your security pin and be careful when making purchases online. Do not spend money because of the high rate of charge. Do the minimum payment or more according to the date of payment. Check your credit card bill carefully and make sure no charge to apply and avoid making payments late because the rate charged is high.